For other people named Charles Goodyear, see Charles Goodyear (disambiguation). vulcanize rubber discovered in 1839, process perfected and patented in 1844. Goodyear is credited with inventing the chemical process to create and manufacture pliable, waterproof, moldable rubber. Goodyear's discovery of the vulcanization process followed five years of searching for a more stable rubber and stumbling upon the effectiveness of heating after Thomas Hancock. His discovery initiated decades of successful rubber manufacturing in the Lower Naugatuck Valley in Connecticut, as rubber was adopted to multiple applications, including footwear and tires. The Goodyear Tire & Rubber Company is named after him. 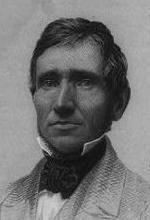 Charles Goodyear was born in New Haven, Connecticut, the son of Amasa Goodyear, and the oldest of six children. His father was a descendant of Stephen Goodyear of London, Middlesex, England, one of the founders of the colony of New Haven in 1638. In 1823, Charles left his home and went to Philadelphia to learn the hardware business. He worked industriously until he was twenty-five years old, and then, returning to Connecticut, entered into partnership in his father’s business in Naugatuck, CT where they manufactured not only ivory and metal buttons, but also a variety of agricultural supplements. On August 3, 1824 he married Clarissa Beecher. Two years later the family moved to Philadelphia, and there Charles Goodyear opened a hardware store. This is where he did most of his work. His specialties were the valuable agricultural implements that his firm had been manufacturing, and after the first distrust of domestically made goods had worn away—for all agricultural implements were imported from England at that time—he found himself heading a successful business. This continued to increase until it seemed that he was to be a wealthy man. Between 1829 and 1830 he broke down in health, being troubled with dyspepsia. At the same time, the failure of a number of business endeavors seriously embarrassed his firm. They struggled on, however, for some time, but were finally obliged to fail. Between the years 1831 and 1832, Goodyear heard about gum elastic (natural rubber) and examined every article that appeared in the newspapers relative to this new material. The Roxbury Rubber Company, of Boston, had been for some time experimenting with the gum, and believed it had found means for manufacturing goods from it. It had a large plant and was sending its goods all over the country. It was some of Roxbury's goods that first attracted Goodyear's attention. Soon after this, Goodyear visited New York, and his attention went to life preservers, and it struck him that the tube used for inflation was not very effective nor well-made. Therefore, upon returning to Philadelphia, he made tubes and brought them back to New York and showed them to the manager of the Roxbury Rubber Company. The manager was pleased with the ingenuity that Goodyear had shown in manufacturing the tubes. He confessed to Goodyear that the business was on the verge of ruin, and that his products had to be tested for a year before it could be determined if they were perfect or not. To their surprise, thousands of US$ worth of goods that they had determined to be of good quality were being returned, the gum having rotted, making them useless. Goodyear at once made up his mind to experiment on this gum and see if he could overcome the problems with these rubber products. He thought he had discovered the secret, and through the kindness of friends was able to improve his invention in New Haven. The first thing that he made was shoes, and he used his own house for grinding, calendering and vulcanizing, with the help of his wife and children. His compound at this time consisted of India rubber, lampblack, and magnesia, the whole dissolved in turpentine and spread upon the flannel cloth which served as the lining for the shoes. It was not long, however, before he discovered that the gum, even treated this way, became sticky. His creditors, completely discouraged, decided that he would not be allowed to go further in his research. Goodyear, however, had no mind to stop here in his experiments. Selling his furniture and placing his family in a quiet boarding place, he went to New York and in an attic, helped by a friendly druggist, continued his experiments. His next step was to compound the rubber with magnesia and then boil it in quicklime and water. This appeared to solve the problem. At once it was noticed abroad that he had treated India rubber to lose its stickiness, and he received international acclamation. He seemed on the high road to success, until one day he noticed that a drop of weak acid, falling on the cloth, neutralized the alkali and immediately caused the rubber to become soft again. This proved to him that his process was not a successful one. He therefore continued experimenting, and after preparing his mixtures in his attic in New York, would walk three miles to a mill in Greenwich Village to try various experiments. In the line of these, he discovered that rubber dipped in nitric acid formed a surface cure, and he made many products with this acid cure which were held in high regard, and he even received a letter of commendation from Andrew Jackson. Exposure to harsh chemicals, such as nitric acid and lead oxide, adversely affected his health, and once nearly suffocated him by gas generated in his laboratory. Goodyear survived, but the resulting fever came close to taking his life. Together with an old business partner, he built up a factory and began to make clothing, life preservers, rubber shoes, and a great variety of rubber goods. They also had a large factory with special machinery, built at Staten Island, where he moved his family and again had a home of his own. Just about this time, when everything looked bright, the panic of 1837 came and swept away the entire fortune of his associate and left Goodyear penniless. Goodyear discovered a new method for making rubber shoes and received a patent which he sold to the Providence Company in Rhode Island. However, a method had not yet been found to process rubber so that it would withstand hot and cold temperatures and acids, and so the rubber goods were constantly growing sticky, decomposing and being returned to the manufacturers. From 1834 through 1839 Goodyear worked anywhere he could find investors, and often moved locations, mostly within New York, Massachusetts, Philadelphia, and Connecticut. In 1839 Goodyear was at the Eagle India Rubber Company in Woburn, Massachusetts, where he accidentally discovered that combining rubber and sulfur over a hot stove caused the rubber to vulcanize. For this Goodyear and Nathaniel Hayward received US patent number 1,090 on February 24 of the same year. Several years earlier Goodyear had started a small factory at Springfield, Massachusetts, to which he moved his primary operations in 1842. The factory was run largely by Nelson and his brothers. Charles Goodyear's brother-in-law, Mr. De Forest, a wealthy woolen manufacturer became involved as well. The work of making the invention practical was continued. In 1844 the process was sufficiently perfected and Goodyear received US patent number 3633, which mentions New York but not Springfield. Also in 1844, Goodyear's brother Henry introduced mechanical mixing of the mixture in place of the use of solvents. In the year 1852 Goodyear went to Europe, a trip that he had long planned, and saw Thomas Hancock, then in the employ of Charles Macintosh & Company. Hancock claimed to have invented vulcanization independently, and received a British patent, initiated in 1843, but finalized in 1844. In 1855, in the last of three patent disputes with fellow British rubber pioneer, Stephen Moulton, Hancock's patent was challenged with the claim that Hancock had copied Goodyear. Goodyear attended the trial. If Hancock lost, Goodyear stood to have his own British patent application granted, allowing him to claim royalties from both Hancock and Moulton. Both had examined Goodyear's vulcanized rubber in 1842, but several chemists testified that it would not have been possible to determine how it was made by studying it. Hancock prevailed. Goodyear died on July 1, 1860, while traveling to see his dying daughter. After arriving in New York, he was informed that she had already died. He collapsed and was taken to the Fifth Avenue Hotel in New York City, where he died at the age of 59. He is buried in New Haven at Grove Street Cemetery. In 1898, almost four decades after his death, The Goodyear Tire & Rubber Company was founded and named after Goodyear by Frank Seiberling. On February 8, 1976, he was among six individuals selected for induction into the National Inventors Hall of Fame. In Woburn, Massachusetts, there is an elementary school named after him. The Government of France made him a Chevalier de la Légion d'honneur in 1855. The ACS Rubber Division awards a medal named in Goodyear's honor, the Charles Goodyear Medal. The medal honors principal inventors, innovators, and developers whose contributions resulted in a significant change to the nature of the rubber industry. The Goodyear welt, a technique in shoemaking, was named after and in honor of its inventor, Charles' son; Charles Goodyear Jr.
Leverett Candee, first person to manufacture rubber footwear under the Goodyear vulcanization process. ^ Zumdahl, Steven; Zumdahl, Susan (2014). Chemistry (Ninth ed.). Belmont, California: Brookes Cole/Cengage Learning. ISBN 978-1-133-61109-7. Retrieved October 25, 2014. However, in 1839 Charles Goodyear (1800 – 1860), an American chemist, . . .
^ Haven, Kendall; Berg, Roni (1999). The Science and Math Bookmark Book:300 Fascinating, Fact-Filled Bookmarks. Englewood, Colorado: Teacher Ideas Press/Libraries Unlimited, Inc. ISBN 1-56308-675-1. Retrieved October 25, 2014. Famous Scientists: Charles Goodyear, chemist. ^ Hosler, D. (18 June 1999). "Prehistoric Polymers: Rubber Processing in Ancient Mesoamerica". Science. 284 (5422): 1988–1991. doi:10.1126/science.284.5422.1988. ^ Slack, Charles (2003). Noble Obsession, 225, Hyperion. ISBN 0-7868-8856-3. ^ Goodyear, C. (1939). A Centennial volume of the writings of Charles Goodyear and Thomas Hancock, Boston, Mass. : [Centennial Committee] American Chemical Society, p. 97. ^ "Clapp-Goodyear School". Archived from the original on 2011-08-07. Retrieved 2011-09-06. Wikimedia Commons has media related to Charles Goodyear. Today in Science History – Goodyear's U.S. Patent No. 240: Improvement in the Process of Divesting Caoutchouc, Gum-Elastic, or India-Rubber of its Adhesive Properties, and also of Bleaching the Same, and Thereby Adapting it to Various Useful Purposes.